We’re in the middle of the Holy Week, a few days before Easter Sunday. This implies a bundle of preparations that need to be done. A thorough and meticulous house cleaning, dyeing eggs in a bright red color, baking tsouréki – a kind of sweet bread flavoured with mahlepi and kakoulé- and baking a huge amount of our traditional Easter cookies. 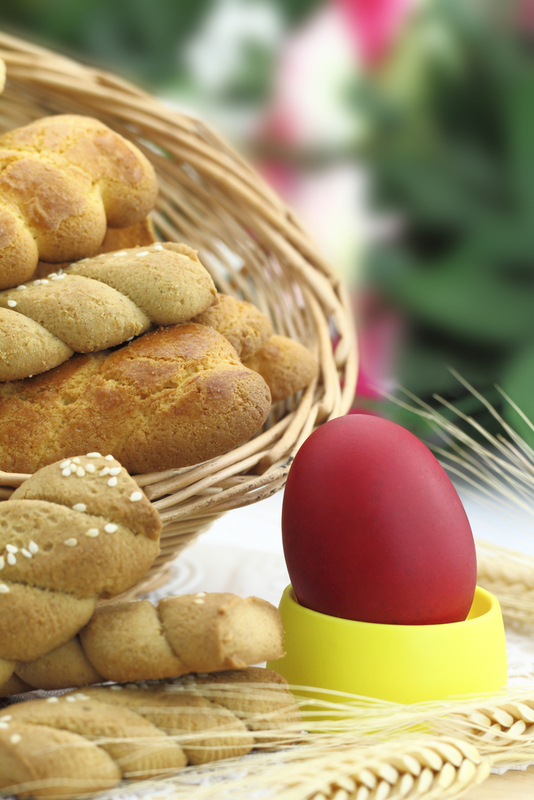 Greek Easter cookies are extremely delicious and tasty but there are two key factors that distinguish them from any other cookie. First of all, the use of fresh butter made from sheep’s milk and secondly the use of baking ammonia as a leavening agent. While the cookies are being baked, the house fills up with the beautiful scent of the butter and the strong odur of the ammonia which of course cooks off during baking. This ingredient is essential in order to obtain the wonderful crispness of the cookies. And as Greek women say “There’s no Easter cookie without ammonia”! This entry was posted in Around the Greek table and tagged cookies, Easter, greek pastry on 1 May, 2013 by George Papageorgiou. There are some basic differences between Roman Catholic Easter and Orthodox Easter, one of which is that we don’t always celebrate the same date. There are years when the dates coincide, and there are years when they are celebrated a week apart. Or even five weeks apart, like this year! Hence the fact that Catholics (and Protestants of course ) celebrated Easter on the 31st of March , whereas we Orthodox Christians are obliged to wait till the 5th of May – fair enough considering that hopefully the weather will be perfect! In the meantime, we’re in a 40-day period during which we fast. The fasting period began on the 18th of March (”Katharí Deftera” our Mardí Gras) and will end the midnight before Easter Sunday. Fasting the Orthodox way means no meat, no fish, no dairy, no eggs. That leaves us with a bunch of vegetables, legumes, fruit and some sea food to eat… But what about pastry? How do we cope with our need, our desire for something sweet, for a dessert? In today’s post we’ve got a typical example of a Greek dessert, totally suitable for the fasting period. 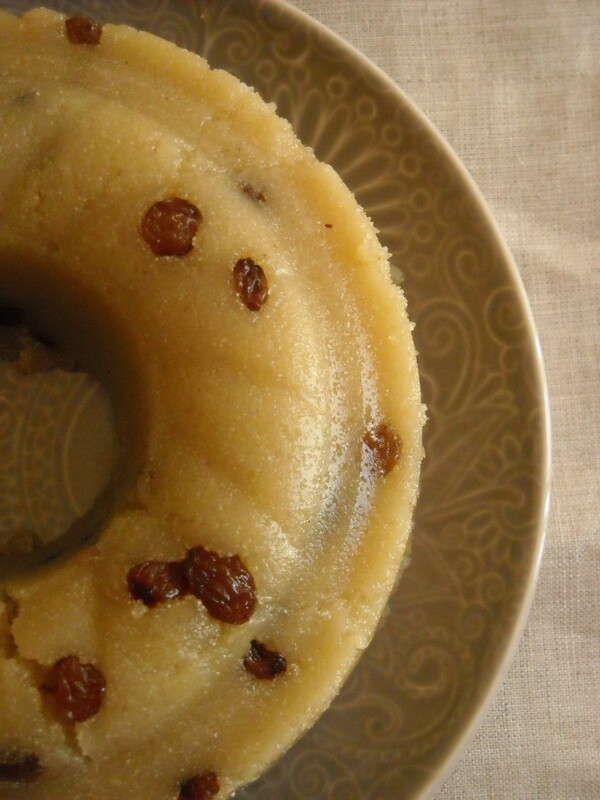 It’s called ”halvás” and it’s sort of a semolina and olive oil pudding. This entry was posted in Around the Greek table and tagged greek pastry, pudding on 13 April, 2013 by George Papageorgiou.